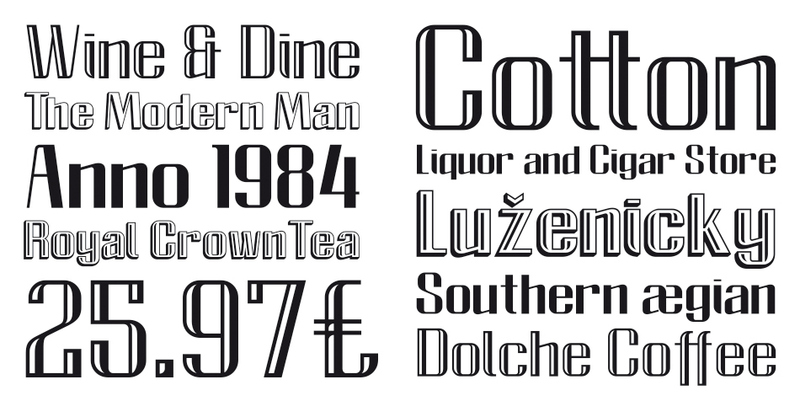 The FM Clog family is the Fontmakers’s Type Foundry newest typeface. Designed by Jordan Jelev (The Labelmaker) and Vassil Kateliev (Karandash – Type and Graphic Foundry) the FM Clog font family is represented by four different outlines – Normal, Open Face, Shadowed and Engraved. Each of them could be your best choice when designing a wine label, package or magazine headline. By using Open Face and Shadowed outlines you will discover how easy it is to produce unique design of its own style. July 15, 2011 | Filed under Decorative, Display, Typefaces.